We are very lucky to live in an area of outstanding natural beauty. Our EYFS/KS1 teacher, Miss Gilberthorpe delivers exciting weekly sessions to both classes with the valued support of other teaching staff. 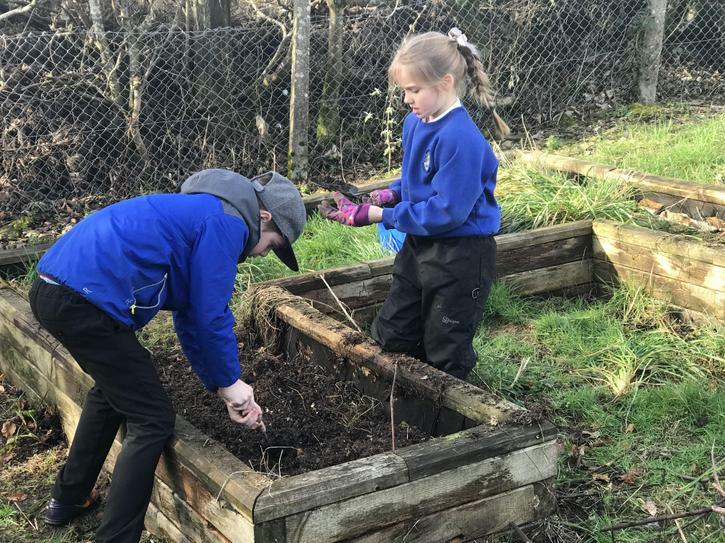 Sessions are planned in order to provide the pupils with opportunities to collaborate with their peers, manage their own risks, communicate with other members of their class and to challenge themselves. 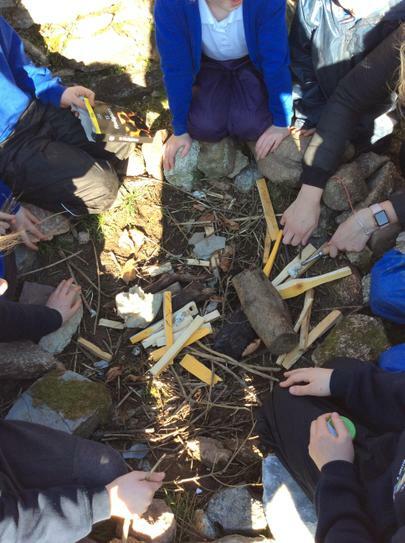 This term, we have enjoyed den building, fire lighting and woodland games. 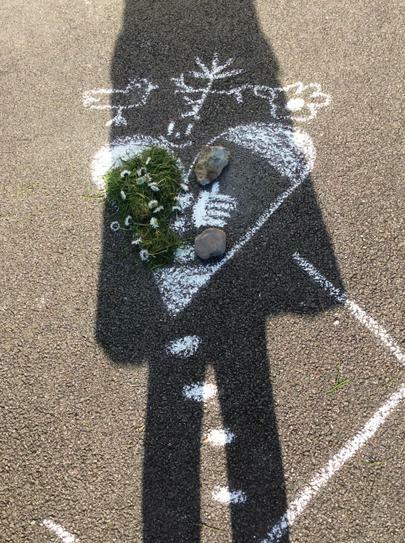 After an invasion of tree monsters, Class 1 worked together to build traps to save their friends. Ks2 children have worked to whittle their own marshmallow stick. We are all very excited about our whole school forest school day on Thursday 22nd November! 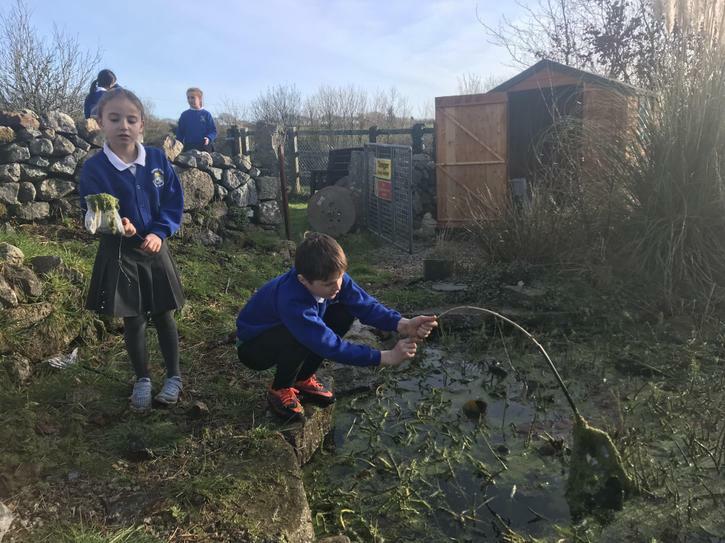 Whole School Forest School Day! 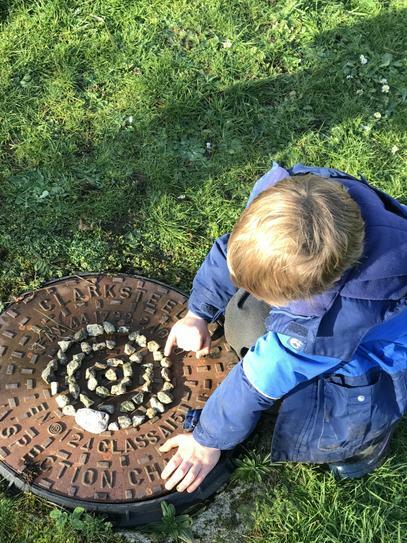 Our aim in forest school is to develop the children's resilience, cooperation, problem solving and independence. 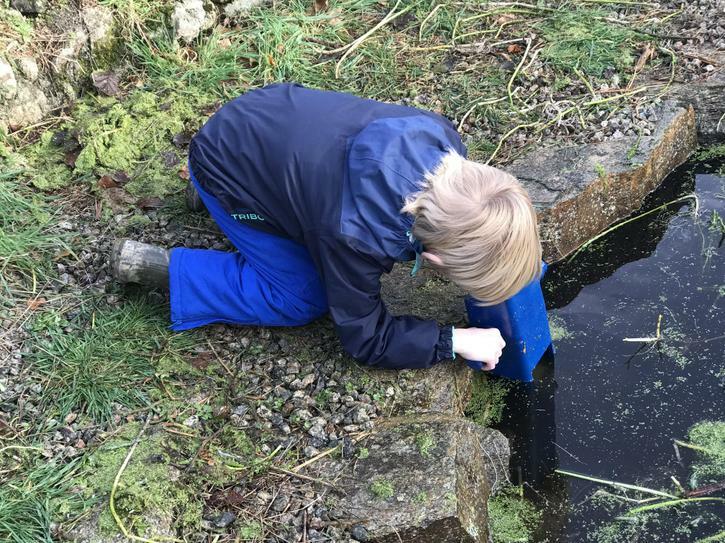 During our whole school forest school day on Thursday 22nd November, it was very clear to see that these skills are already developing after one term. QAs you looked around the sun drenched woodland you saw children working together to walk the slack line, children problem solving to improve their dens and children jumping up and tying again if something didn't go to plan. The forest must be magic!